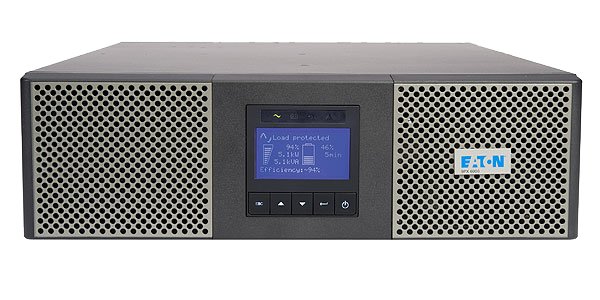 Eaton’s 9PX UPS provides premium backup power for servers, storage systems, voice and data networks, and other IT equipment. With rack and stand-alone installation options available and scalable battery runtimes, this UPS is the ideal solution for most server UPS needs. It also boasts an ENERGY STAR qualification and a bright, easy to read LCD user interface to simplify monitoring.